During the winter, I tend to be a lot less active and unwilling to do anything than during the summer. I find myself watching countless hours of Netflix and feeling a lot less motivated than during the summer and fall. So I wonder, is there a link between the winter season and these feelings of laziness? There is a condition known as seasonal depression, or seasonal affective disorder, in which a person experiences common symptoms of depression each year at the same time, usually starting in the fall and ending in the spring. Only half a million of the U.S. population actually suffers from seasonal depression, but ten to twenty percent of people will suffer from a less extreme cases. It is also found that when people are lacking in supplements of Vitamin D, they are at greater risk for depression. 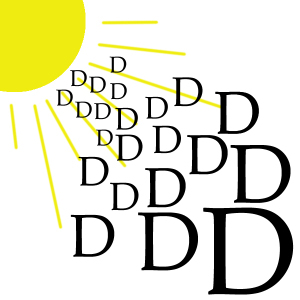 Vitamin D, or the sunshine vitamin, is obviously harder to come by during from the late months of the fall to the early months of the spring. So is the winter making me depressed? And will supplements of Vitamin D help me return to my normal state of slightly less than average motivation. A small study of 3 subjects, all women, required that over the course of twelve weeks each person was given 32 to 38 ng/mL of Vitamin D. After their treatment they reported a significant decrease in depression when measured according to the Beck Depression Inventory. Since this was an extremely small study can we conclude that vitamin D will reduce symptoms of depression? Definitely not. 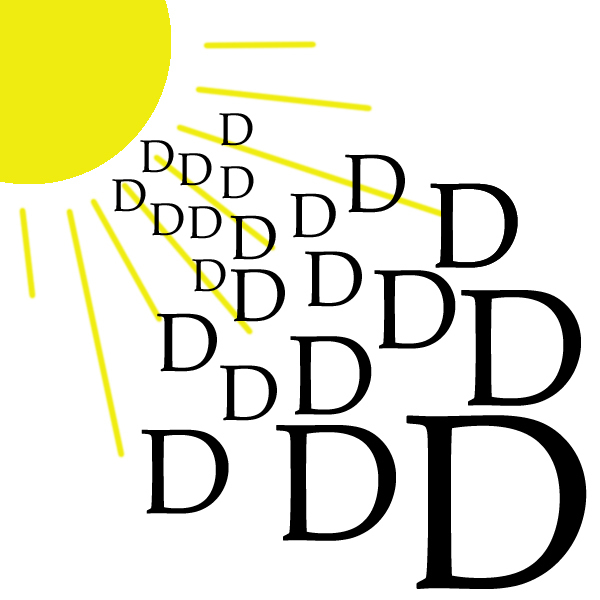 All subjects were women, so will Vitamin D have the same effect on men? Where were these women from? Certainly environment and location must have an effect on their state of depression – California is a lot sunnier in comparison to Pennsylvania, especially during the fall and winter months. In a systematic review and meta-analysis of observational studies and randomized controlled trial, 31424 participants were studied. Researched found that the hazard ratio for depression was significantly higher in those with low Vitamin D levels than in those with high Vitamin D levels. As the number of subjects studied is significantly larger than in the previous case, we can say that the representative aspect of the study is accounted for. Reverse causation can be ruled out because it is unlikely that a high risk of depression is causing low Vitamin D levels. I think we can safely assume that there is association between a person’s levels of Vitamin D and depression. So, in these upcoming months if you’re feeling low and unmotivated, consider the fact that we aren’t getting very much sun, therefore we are subject to lower levels of Vitamin D. Try and get more Vitamin D through supplements or milk from your closest convenience store.